Those are serious prices and not early cars or even "Series 1" cars. I am a little surprised the LS car brought so much. In the past the strictly original has seemed to bring the premium. I agree with you, Charles. I was also surprised with the amount the Modified LS car brought. Over the last couple of years, 240Zs are finally getting some respect at B.J. I am a little surprised the LS car brought so much. In the past the strictly original has seemed to bring the premium. Yeah, that was interesting, but that car wasn't just another run of the mill LS engine swap, someone built that car as a custom, it looked well planned. Nice to see that recognition. 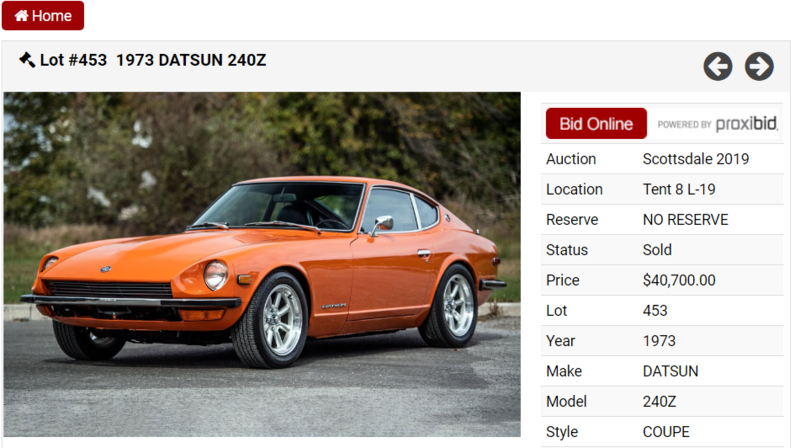 At $67,100 including the buyer commission, that is the highest amount that I have ever seen for a resto-mod 240Z. Yes, a Lot of Money! 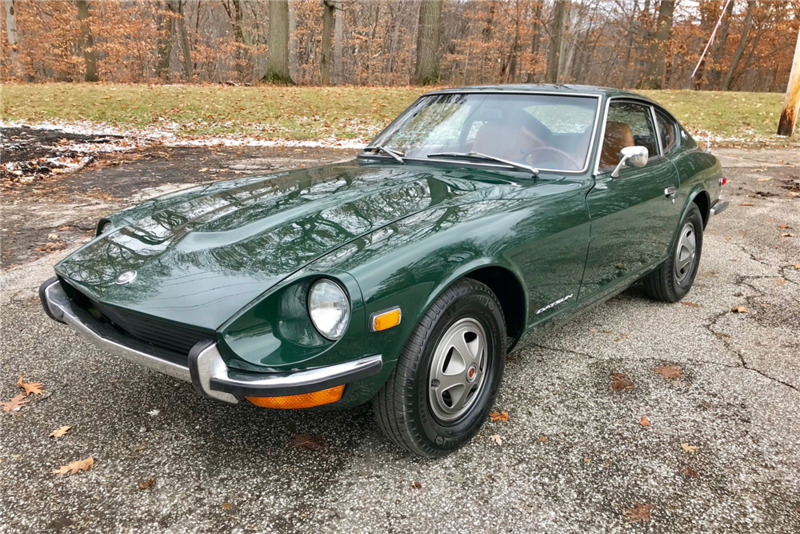 The other 2 cars weren't chopped liver with the '71 240Z (with the incorrect Z wheel covers) going for $55,000.00 and the '73 240Z going for $40,700.00, both with the buyer commissions included. 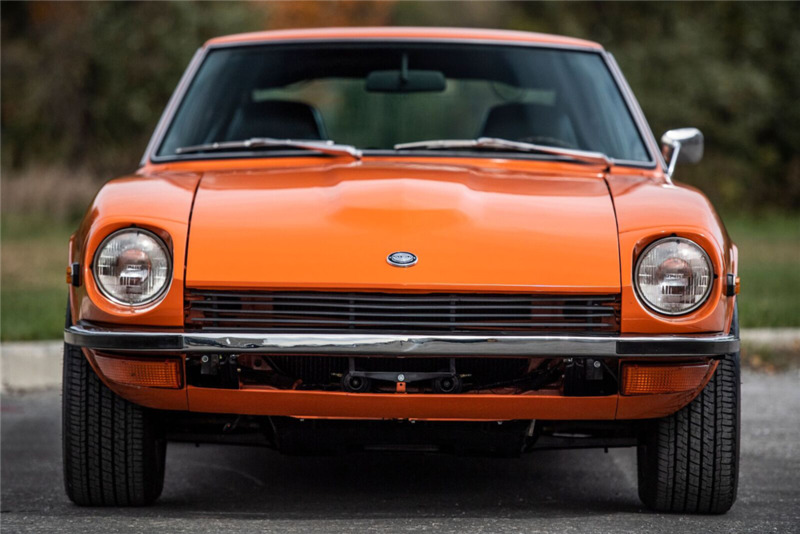 As Charles mentioned earlier, in the past, the more original 240Zs have sold for the higher prices, but the quality-built resto-mods seem to be the trend right now. Restomods of all types are very popular with the Barrett Jackson crowd. I was there yesterday and could only find the white car. The others might have been moved offsite already but then again that place is huge so they could have been somewhere I missed. 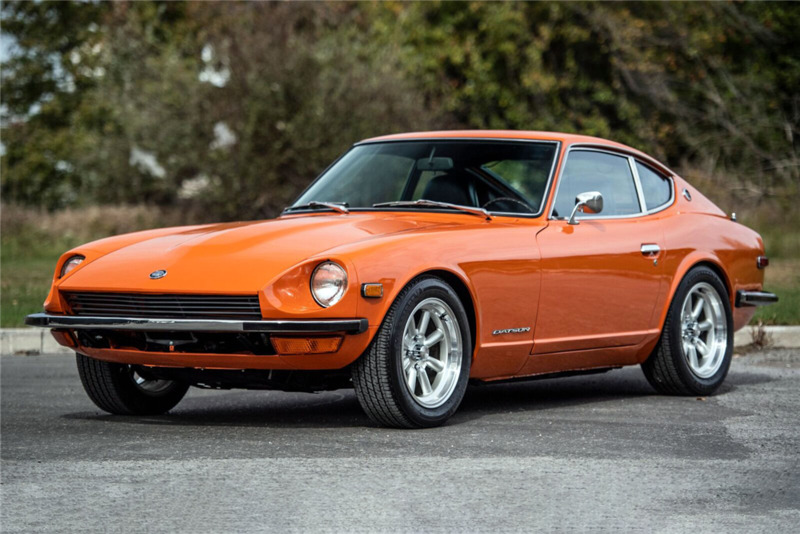 That's great that you attended the auction, and good picture of the resto-mod 240Z! 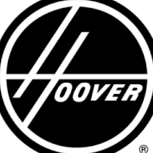 I watched quite a bit of the auction the last few days and you're right - there was an unbelievable number of resto-mods of different makes and models that sold for high dollars. Anyone want to take a guess at what those same three Zs' would have gone for on BaT or ebay? They might have reached the same numbers but I have a feeling that the excitement of a live in person auction and the Barrett Jackson name probably helped boost them up some what. Which site would get more money to the seller? Don't know what BaT charges. No reserve is a crock. Just guarantees the auction house a commission. Probably a little more alcohol flowing at a Barrett Jackson auction than with a BaT auction. That can loosen up the bidding/judgement restraint. A friend of mine sold his Porsche 912 on BaT a few weeks ago and did surprising well. 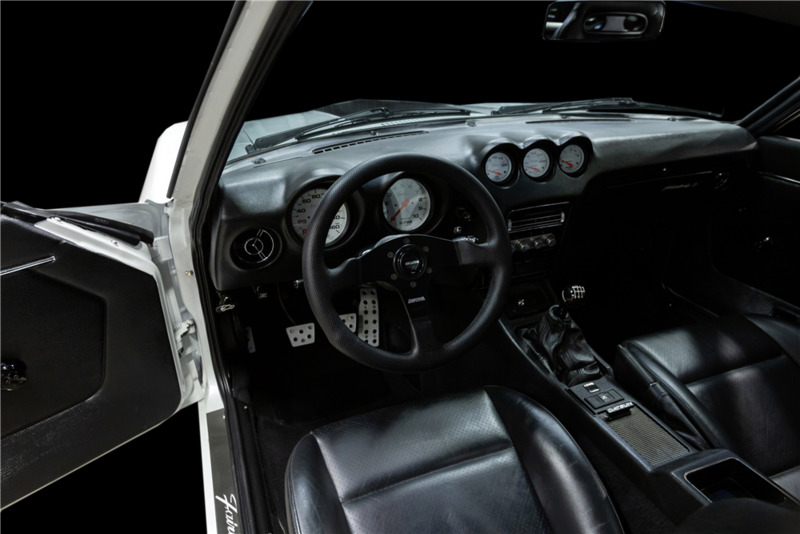 The final bid far exceeded his expectations and the car is now on its way to Europe. Based on these sales I predict a flood of Z's at future BJ auctions. Don't know what BaT charges. Seller pays $99 to list a car and the buyer is charged 5% of the winning bid with a $5,000 maximum payment. Found it interesting that the 73 description says the carbs are original. They may be original, but not for a 73. This one has round tops and the 73's had flat top carbs. And is it just me or is the front bumper crooked on the 73? Agreed on the carbs - the seller should have made note of the round tops, which is actually a positive and not a negative. Looking at the front bumper, you're right - it doesn't look right. Could that be just the reflection on the bumper that gives the that appearance? I think the front bumper is bent on the passenger side. It isn't straight with the grill bars. Gaps on the hood don't match. Drivers side fender and headlight bucket appear to be pushed in towards the front, might just need adjustment. Add $10,000. 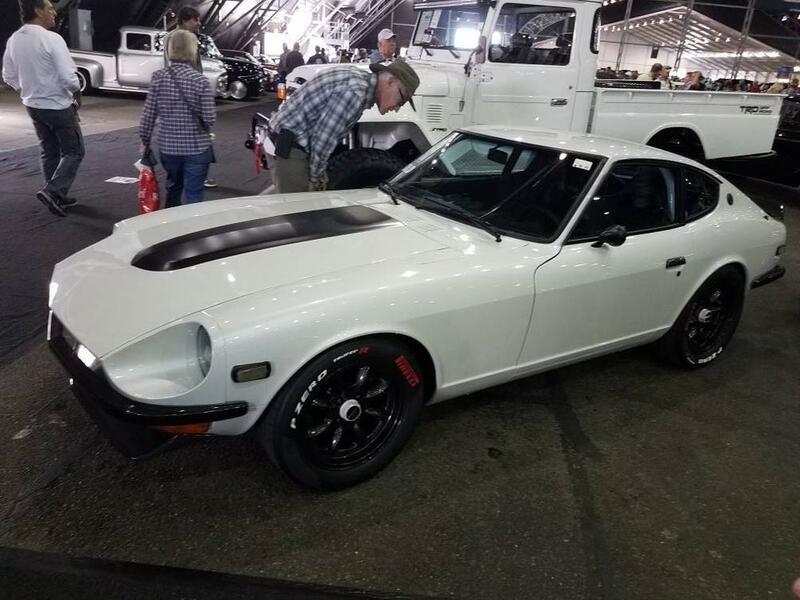 $50,000 73 Z! 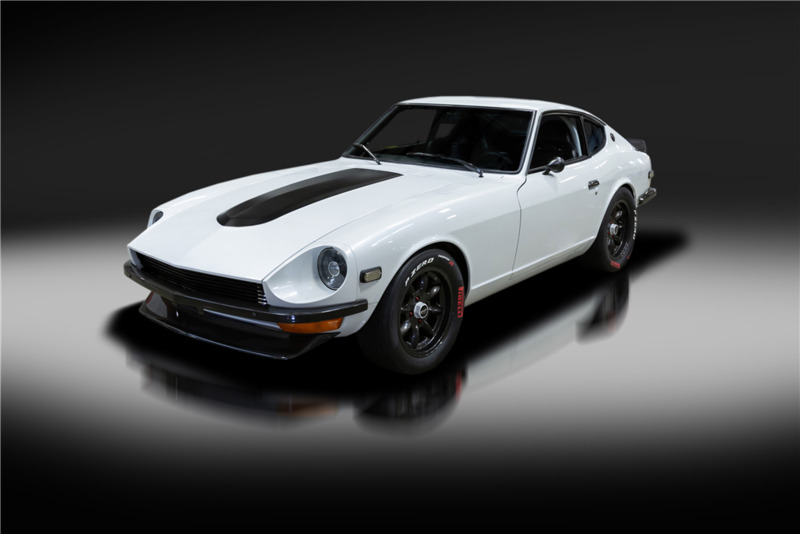 There's a somewhat modified 1970 Z with a 2.0 motor and 5 speed ending soon on BaT. Currently at $8,500 with no reserve.